Is tourism actually killing the tigers? I think this is the latest question rising in almost many minds. With the latest news of banning the core zones and now the news of the extension of banning, till the next hearing on August the 29; the issue is still on the pendulum. The decision of whether the core areas should be restricted or not or what other steps should be taken for the conservation of the wild species, is still rearing many inflicting issues. Whether or not the banning will continue, the fact remains the same that almost 25000 people will lose their livelihood once the core areas are restricted. The reasons are many but the basic reason is the fallouts of tourism, observed by many forest officials including Corbett’s Manoj Dhawal (guide). Definitely and straightly, the economy of the related town is majorly dependent upon the tiger-seeking tourists. It’s all because the tourists come here to watch only the tigers, the most gruesome creature of the jungle. 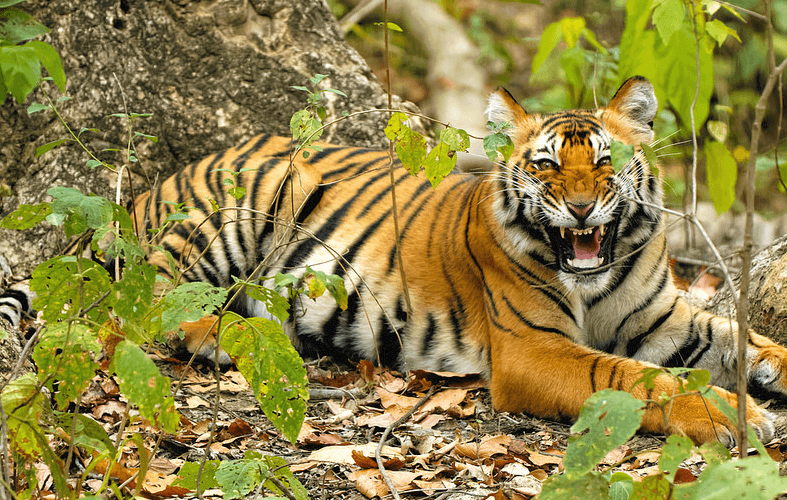 There are almost 42 tiger reserves all across India and all the areas are a gushing river of tourists specifically leaning down for tiger tours. The jungle safaris are simply meant for the tiger tours only and thus the issues of affecting the wildlife conservation with tourism is simply doubtful. As the jungle officials bring proper care and maintenance for all the animals housing in the reserve. The SC order will virtually shutter down the gates of tiger reserves in India, including the Corbett National Park which is India’s first and one of the finest & most visited tiger reserves in India which is spread at 1300 sq km. The order will eventually affect the infrastructure of the resorts, guides, vehicle owners, restaurants, bus operators and the villages around the reserves like Ramnagar in Corbett, in the foothills of the Kumaon region, Uttarakhand. All are imposed in the buffer areas without disturbing the core areas. Ironically, there are almost 150 resorts in Ramnagar which are totally dependent upon the animals of the reserves (including tigers) to attract guests, thus the mystery of poaching simply ends here. Some resorts near Ramnagar have already being shuttered down including the award-winning Camp Forktail Creek at the Corbett National Park vicinity due to unregulated tourism. The locals say the tiger population has considerably increased with the focus of tourism over the areas bringing proper care and maintenance for the wild beings. They even argue that the old tigers if found dead are not the victims of poaching. “A tiger gets killed in an accident, and they say it’s poached”, says Ajay, an aggrieved Corbett tour operator. Even the local governments are raising pleas against this temporary order. According to the pleas of the Madhya Pradesh Government, there are almost 650 rural villages in the core areas of the reserves in MP and that too are typically hooked on tourism only, including their livelihood. Above all, once the core areas are remained abandoned, the species will get more dejected or ignored may be bringing down the counts of the tiger species. The decision may be oscillating but the fact remains that we need to focus on the issues and the basic reasons behind the poaching or the accidental death of the tigers in India. Banning on tourism is not the sole solution but proper regulatory acts should be implemented by taking care of everyone, right from the wild creatures to the animal lovers and even on the tourism. Like and Share your views at Corbett National Park Facebook Community.